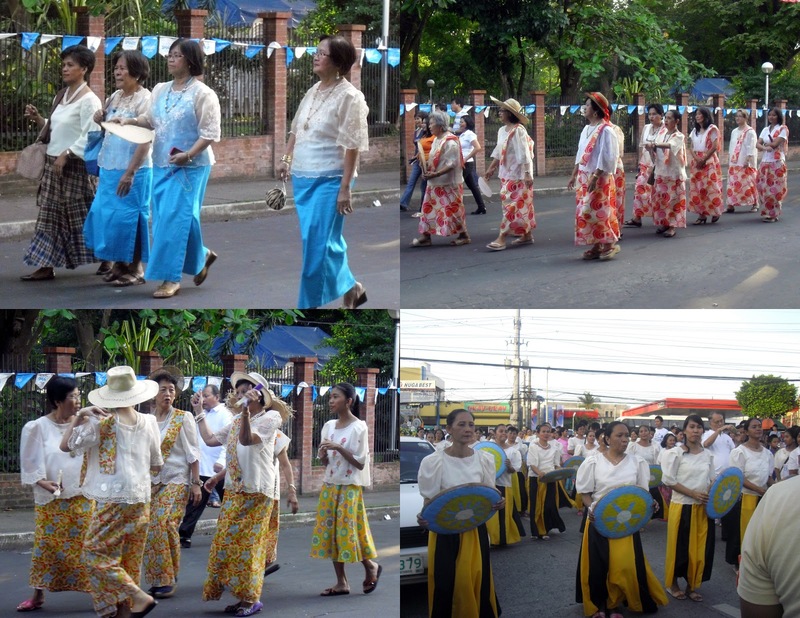 Last October 14 (Sun) was the Our Lady of Fatima Parish (Las Piñas) Feast Day. We usually attend the 3:30pm mass on Sundays, it so happened that on this Sunday it is also the Fiesta Mass. Rev. Father Jesse Mercado, D.D. was the mass presenter enjoined by the priest's of the Our Lady of Fatima parish. Allow me to share with you that blessed day through pictures. We got to church at 3:00pm, early enough to be able to visit the Adoracion chapel to pray and later find ourselves a good seat inside the church. The extra time also allowed me to take some pictures inside the church while waiting. Outside, those participating in the procession later were already setting up and getting ready. The mass started at exactly 3:30pm. Mass presider was Rev. Father Jesse Mercado, D.D. The Gospel reading was taken from the book of Mark 10:17-30 (The Rich Man). And he said to him, 'Master, I have kept all these since my earliest days.' Jesus looked steadily at him and he was filled with love for him, and he said, 'You need to do one thing more. Go and sell what you own and give the money to the poor, and you will have treasure in heaven; then come, follow me. 'But his face fell at these words and he went away sad, for he was a man of great wealth. Jesus gazed at them and said, 'By human resources it is impossible, but not for God: because for God everything is possible.' Peter took this up. 'Look,' he said to him, 'we have left everything and followed you.' Jesus said, 'In truth I tell you, there is no one who has left house, brothers, sisters, mother, father, children or land for my sake and for the sake of the gospel who will not receive a hundred times as much, houses, brothers, sisters, mothers, children and land -- and persecutions too -- now in this present time and, in the world to come, eternal life. As I listened intently on the Gospel and Homily, two words that had been repeated several times, stuck to my mind, "Letting Go." The Gospel reading was all about letting go of our worldly possessions to follow God. It was a challenge for all Christians and Catholics. But I see the words in some other way. God loves all of us intensely. The rich man was a good man and God saw that, and was happy that the man wanted to do more, go further than what he had already been practicing all his life to please God. Jesus presented him an offer: sell all that he has, give it to the poor and then follow him. The man at that particular moment was probably torn to millions of pieces at the choice he had to made. With a heavy head, he turned around, walked away...sad, probably embarrassed that it was one thing he could not do. I have already heard of some people who have given up their good life to live a Ministry of Service in Jesus. To be a man or woman of God is shedding the world, to be clothed anew in His light. The offer is difficult, but the choice is simple. We have to be 100% for Christ! We cannot follow God and live a life of worldliness at the same time. Father Jesse Mercado said: "If we want live a life of happiness, let God be first, others second, and ourselves last in our priorities." I admit that I am still like that rich man (not that I am rich), but that it is still hard shedding off all the worldly possessions. I have my share of letting go numerous times in my past and until now I am a work in progress. Self denial is hard! Letting go may come as a complete turn-around for others, but for me...its kinda' piece by piece. So, I continually pray. Pray! Pray! Pray! Anyway, back to more pics on the feast day. I love the inviting colors one can see in the parade. The beautiful smiles add adornment to the vibrant colors pink and orange. Music added a festive beat. These ladies danced to that beat. Pick up `em dancing shoes, its a fiesta!!! Happy Feast Day Our Lady of Fatima Parish!! !